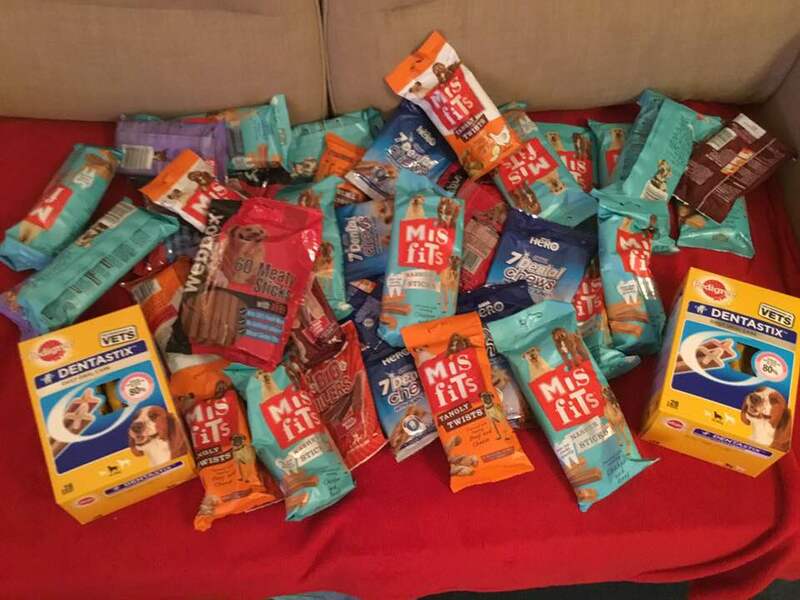 Once again this year we had all sorts of requests and our wonderful trustees Rob & Jan Tiffen and Debbie Albins went shopping and delivering so that all the hounds were happy at Christmas. 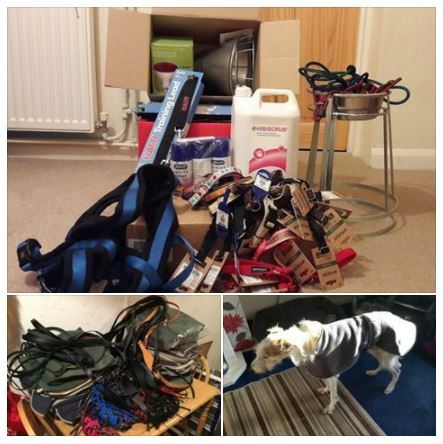 As you can see there were harnesses, bowls, coats, muzzles, cleaning gear and collars …. Not to mention the all important treats for good boys and girls …. We thank all our Greyhound Walks supporters for their very generous contributions through the year to allow us to do our annual ‘Santa Delivery’.